Elite 2000 screen or glass system – Budd Severino Advanced Home Exteriors, Inc.
Elite Lifestyle Screenrooms let you enjoy the refreshing breeze and outdoor scents while being protected from outside pests and inclement weather. 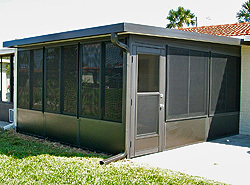 A superior structure built to withstand the gale-force winds of Florida, an Elite Screenroom provides a practical addition to shelter your outdoor activities and improve your lifestyle for years to come. Screen designs are engineered for sleek, recessed elegance that adds, rather than detracts, from the architectural lines of your home. Created to provide the best of everything, security, durability and unobtrusive styling, Elite’s Screenrooms make a dramatic difference to the appearance and value of any home. Imagine enjoying recreational living right at home, where you can rest, entertain, relax or treat yourself to a relaxing holiday without making reservations or traveling one inch outside of your home. Elite Lifestyle Glass Enclosures become the focal point for any activity, play, work and family get-togethers. With Elite 2000™ engineered systems, you can have it all: the spacious views of glass and the comfort of thermally efficient walls. It’s called a “thermal break.” And it’s accomplished by separating the outside and the inside surfaces. 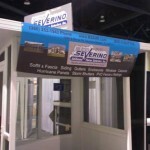 It’s built into every Elite Lifestyle four-season structure and virtually eliminates condensation on glass windows. With an Elite Lifestyle Glass Enclosure, youlll recover more than the 70% of your investment that most manufacturers promise. Youlll increase your enjoyment of your home 100% and realize a sizable return on your investment if you decide to sell. Elite 2000™ systems make these Glass Enclosures look like new for years. Look closely at how well Elite`s Glass Enclosures are constructed. Fasteners are totally hidden from view and from the elements. This protects them from weather corrosion, which can cause deterioration, rust or decay. An Elite Lifestyle Glass Enclosure requires virtually no care at all. The rounded shape eliminates sharp edges and pockets to collect dirt and debris. Electrostatically coated finishes resist chipping, fading and corrosion. Give Elite Lifestyle Enclosures the quality test. Elite promises quality materials, quality installation and quality service. You will feel as wonderful in your Glass Enclosure years from now as you did the day it became part of your home.